Well, it’s a question I have asked myself a number of times too. Blogs, for me, have always been something other people did and more often than not, something I was asked to contribute to by the production’s marketing team. I’ve never quite understood their purpose. I’m currently using this year to really engage with my professional and creative development. By that I mean I’m looking at what I do, how I do it and why. I’m being asked to take on new responsibilities and roles, having been out of training for 5 years, my approach to work has changed. I value different things and different aspects of puppetry appeal to me. I feel I owe it to my own progression as an artist to be honest with myself and look at how I can support and steer my development moving forward. 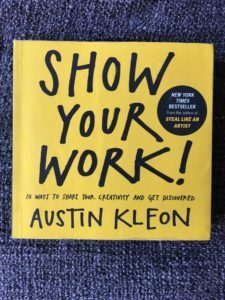 I recently read “Art and Fear: Observations on the Rewards (and Perils) of Art Making” by Ted Orland and David Bayles, and “Show Your Work!” by Austin Kleon; coming across both on various reading lists for creative practitioners. 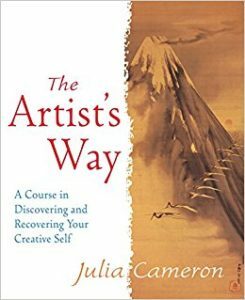 Interestingly, both of them (despite the time difference in publication) discuss the idea of sharing the development of your work and using it as a recording and documenting process. “Art & Fear” makes an excellent point saying that art – in whatever form – is only ever seen by the audience as a final product. A painting hangs in a gallery, finished, a dance piece is seen rehearsed and under performance conditions. As such, an audience never really understands the development that the artist has gone through to get there. 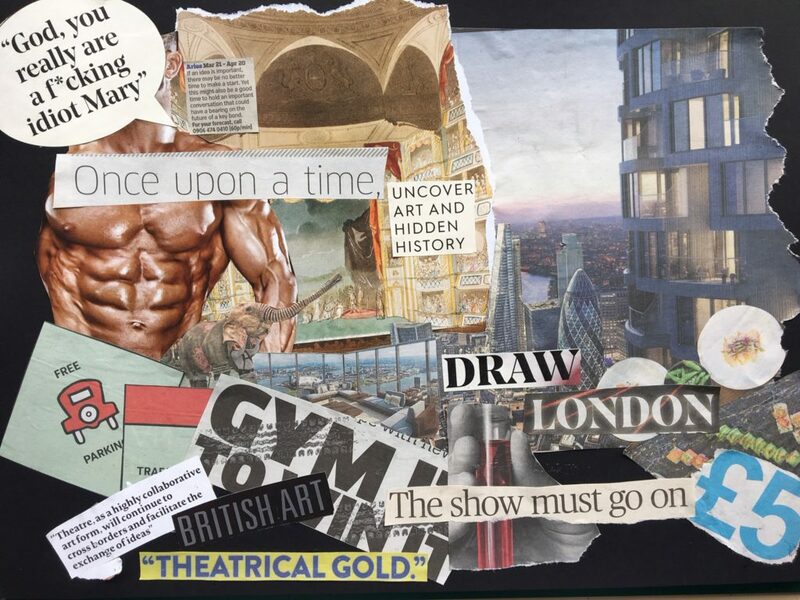 It may well be the artist didn’t intend to finish the journey with this result however, in the context of an audience engaging with it for the first time, with no previous knowledge, they will base their thoughts and opinions on what they see in front of them. I remember, years ago, seeing an object/visual/physical theatre piece that involved a performer dipping themselves in ink and thrashing around on stage to create these very violent distressing black and white images on huge canvases, whilst his fellow performer played a xylophone style instrument made out of stones. I was later told after reading a blurb about the piece that it was an examination of the brief moment before a crow lands (specific, non?) An interesting and rich source of inspiration, however I couldn’t work out how they got to having a barrel of ink and a stone xylophone and this very manic performance. Not that I wanted to see the essence or an exact reenactment of a crow landing procedure onstage, that’s not what theatre is about (if I wanted to watch that, I would go bird watching), but I wanted to know how they got to what I saw in front of me. Even if it were to appreciate each moment of the process as individual art pieces themselves. “Show Your Work!” encou rages artists to share what they are doing, at all stages of the process. 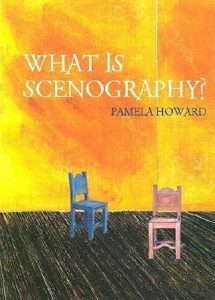 There are lots of different reasons for doing so – this book being published much more recently and aware of social media and online sharing platforms – however, in sharing, it encourages artists and audiences to engage in discussion and peak interest in work, educating and ultimately benefiting everyone. 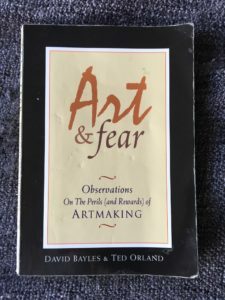 Furthermore “Art & Fear”, being authored by practising artists, talks about documenting your work, and several artists sketch and notebooks which the authors found useful in their own development. Really I should be doing this on a daily basis and engaging with my creative thoughts. I did whilst training. 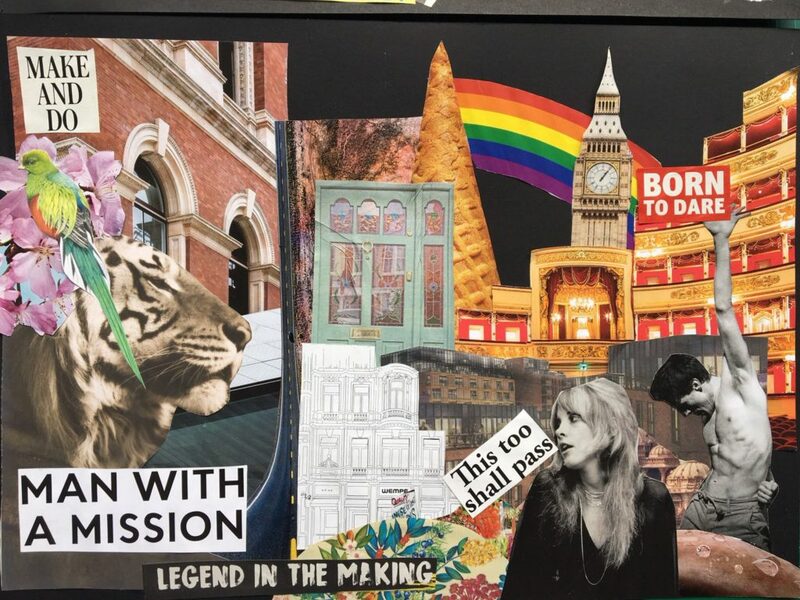 I was expected to keep a journal which was to be a place to express what I was feeling in what I was learning and to document what I was coming across. Since graduating I haven’t really done so. I obviously keep books on projects I’m working on, however these are more pads to make me remember things from meetings! So, back to blogging and why I’m attempting to do it. Bearing all of the above and what I’m trying to do, it’s a chance for me to document and record my experiences and thoughts as I am working, but ultimately share with you. I find a lot of people spend most of their time engrossed in what they are doing without understanding the “why”. As I’m going through a programme of self and creative development, but in understanding the reason why I am doing something, I’m hoping I can make what and how I do to achieve it much more effective and ultimately help my creative development. I hope you enjoy coming along for the ride and exploring the inner ramblings of my brain.